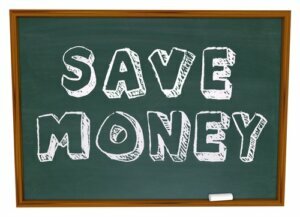 Save Money words on a chalkboard illustrating back to school savings or instructions on how to save on your education costs. Photo courtesy of Shutterstock. College graduates might give strong thought to creating their own jobs by forming startups. Before doing so, grads should consider three financial tips found in the following post. While many students may be looking forward to their internship experiences, they should consider how to manage their expenses. The following post has tips if you’re an internship finder who needs to plan a budget. How do you see your financial situation? The answer can impact the way you regard money. In the following post, learn methods that allow you to see your finances in a more favorable light. Whether you realize it or not, psychology plays a powerful role in your finances. How you look at money can actually determine how you spend and save. If you’re looking for ways to change the way you view money, look no further. Put these effective thought-altering strategies to the test and see how they affect your finances! Money is nothing to take for granted. In the following post, learn five lessons that military families and all people can teach their children when it comes to the value of a dollar. You teach your kids valuable lessons everyday: to look both ways before crossing the street, to respect their elders, say “please” and “thank you,” and to be kind to others. However, amidst all the travel, deployments, and other chaos that comes with being a military family, many parents forget one very important lesson: teaching their kids about money. College students and their families understand certain costs come with going to college. However, what about those unexpected times when extra cash is needed? Find out how military students and their families, and other people can get through challenging situations. For many college students, class is back in session, which means there are books to read, homework assignments to complete, and papers to write. It also means another year of tuition bills, housing costs, and other expenses. Financing a college education is no small feat, especially for military parents and students whose education budgets have very little wiggle room. So what happens when an unexpected education expense pops up? For military parents and students, the answer is easy: a military loan. College students, do you need help saving some money? The following post provides some ways to keep some extra cash in your pockets.